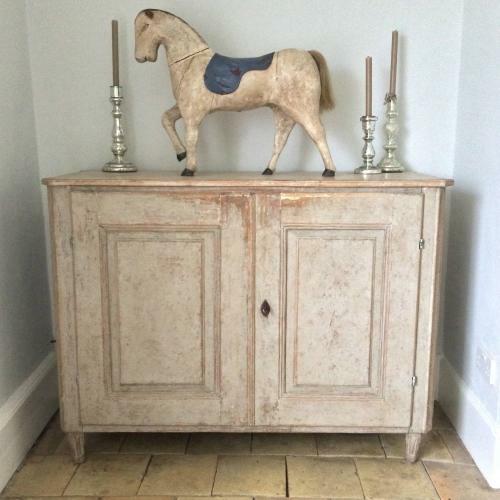 This a lovely example of a period Gustavian sideboard that offers plenty of practical storage. With a wonderful worn pale blue/grey patina this buffet has been hand scraped back to it`s original paint on the inside, and features canted & fluted corners, tapered & fluted feet, and carved inset panel doors. This 18th century Swedish sideboard would look fantastic in a number of different situations around the home. Circa 1790 with refreshed external paint. This item is now on sale.